Since late last week the Rockstar support Twitter account has been hammered with reports of Social Club account hijackings keeping folks from playing games like Grand Theft Auto V. There’s a simple way to ensure this doesn’t happen to you—change your password. 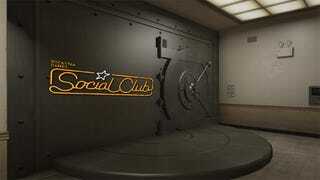 Judging by the volume of tweets the support team is fielding andc the number of emails we’ve received regarding the issue, a small but substantial group of users have been finding themselves locked out of their Rockstar Social Club accounts. Fixing the issue involves opening a ticket with Rockstar support, who are working with users on restoring account access. According to a Rockstar statement sent to Kotaku over the weekend, Rockstar Social Club information has not been compromised. A good policy indeed. Change that password up, lest unaffiliated hacks dig into your Grand Theft Auto V time.